Hank Hill as a ham radio operator? Recently my XYL (wife for you non-hams) and I have been watching reruns of “King of the Hill,” Mike Judge’s wickedly funny cartoon series about middle-American life in Arlen, Texas. When I watched it the first time, I thought it was one of the best-written sitcoms, animated or not, on TV. Watching it a second time hasn’t changed my opinion. 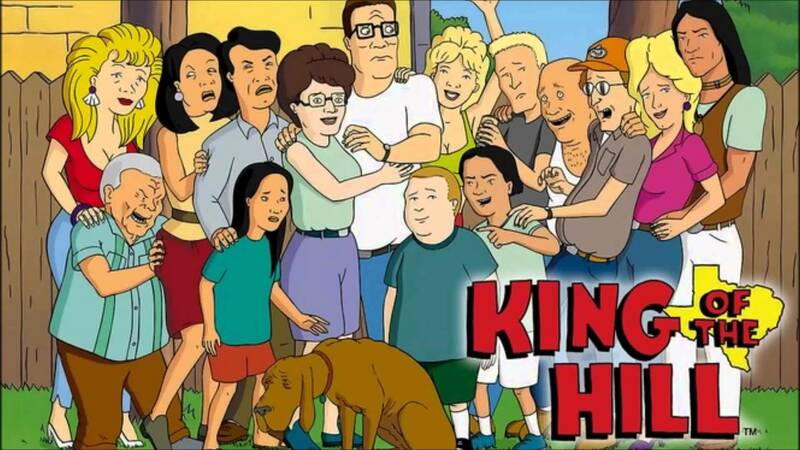 One thing I have realized since then, though, is how much the cast of “King of the Hill” is like every amateur-radio club I’ve ever belonged to. Just about every cast member could be a ham. Hank Hill would be an Extra-class licensee, club president and area EC. He’d get misty-eyed when the ARRL was mentioned. He’d have the tightest, best-built station in town, much of it homebrew – powered by propane, of course. Boomhauer would be the club vice president. He wouldn’t be much on phone but would be an ace at CW. Dale Gribble is the ex-CBer who’d have his ham license lifted quickly when the FCC discovered he wasn’t really Rusty Shackleford. Hank’s wife, Peggy Hill, would get her Tech license just to be with Hank. She’d then chair the Field Day committee and totally screw it up. Hilarity would ensue. Bill Dauterive would join the club and get a license just to be close to Peggy. Yet more hilarity would ensue. Hank’s son, Bobby Hill, would also get his Tech license, then tie up the club repeater with comedy routines. Even more hilarity would ensue. Bobby’s girlfriend, Kahn Jr., would ace her Extra test on the first try after being pushed into it by her parents. She’d operate for just a little while – but only because it looks good on college applications. Do these people look familiar? What kinds of ham would other cast members make? Feel free to discuss amongst yourselves. This entry was posted in ham radio in pop culture and tagged amateur radio, Bobby Hill, Boomhauer, cartoon QSL, Dale Gribble, ham radio, ham radio cartoon, ham radio humor, Hamtoons, Hank Hill, King of the Hill, N2EST, Peggy Hill, QSL. Bookmark the permalink.